Manuscripts are now being accepted for a special issue of the ASME Journal of Vibration and Acoustics concentrating on the field of Tribomechadynamics. The deadline for authors to submit a paper for the issue, which is scheduled to be published in August 2020, is Oct. 1, 2019. 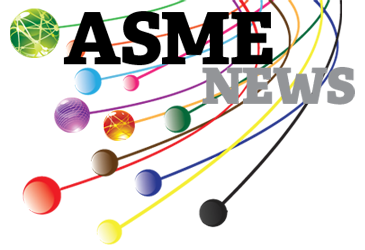 Tribomechadynamics is a new field that intersects the areas of nonlinear/structural dynamics, contact mechanics and tribology. This nascent discipline has been formalized in the joint dynamics community, where the interactions between substructures within an assembly necessitate a detailed understanding of the tribology of interfaces and contact mechanics in order to predict the dynamics of the assembled structure. Applications of Tribomechadynamics span magnetic tape drives (where tape moves at high speed over a series of rollers and bearings), tires (where a detailed understanding of the wear rate is vital for predicting a tire’s lifespan), and turbine blades (where the blade-root geometry must be designed such that the vibration of the turbine blades result in a minimal amount of wear), and other technologies. This special issue of the ASME Journal of Vibration and Acoustics will highlight original research articles on Tribomechadynamics, with a special focus on the influence of Tribomechadynamics on structural vibrations. Editors of the special issue are seeking papers on a number of topics related to Tribomechadynamics, including hysteretic measurements and modeling of interfaces; multi-scale modeling techniques for Tribomechadynamics; model reduction schemes for nonlinear systems containing interfaces; uncertainty quantification methods for nonlinear systems; interface reduction techniques for structural dynamics; and the effects of wear on structural response. The editor for this special issue is Matthew Brake, Rice University, Houston, Texas (U.S.), brake@rice.edu. The guest editors for the issue are Christoph Schwingshackl, Imperial College London, London (U.K.), c.schwingshackl@imperial.ac.uk; and Malte Krack, University of Stuttgart, Stuttgart (Germany), malte.krack@ila.uni-stuttgart.de. Early submissions are strongly encouraged. Papers submitted by Oct. 1, 2019, will be reviewed in time for inclusion in the special issue. Papers received after that date may still be considered for the special issue, time and space permitting. Papers that are not ready for production in time for inclusion in the special issue may be considered for a regular issue of the journal. 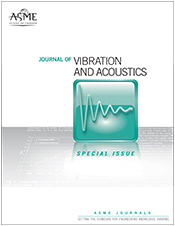 For more information on the ASME Journal of Vibration and Acoustics, visit http://journaltool.asme.org/home/JournalDescriptions.cfm?JournalID=18&Journal=VIB. To review the Information for Authors for the ASME Journal Program, visit www.asme.org/shop/journals/information-for-authors.